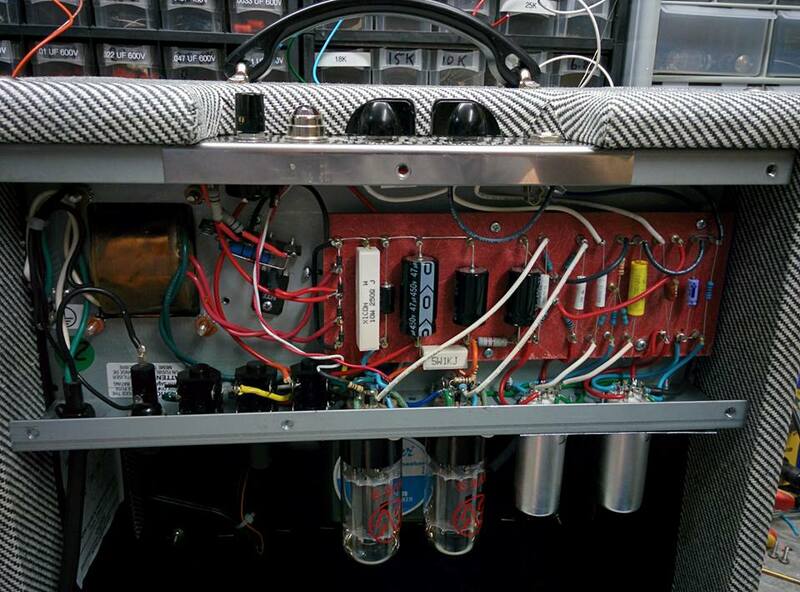 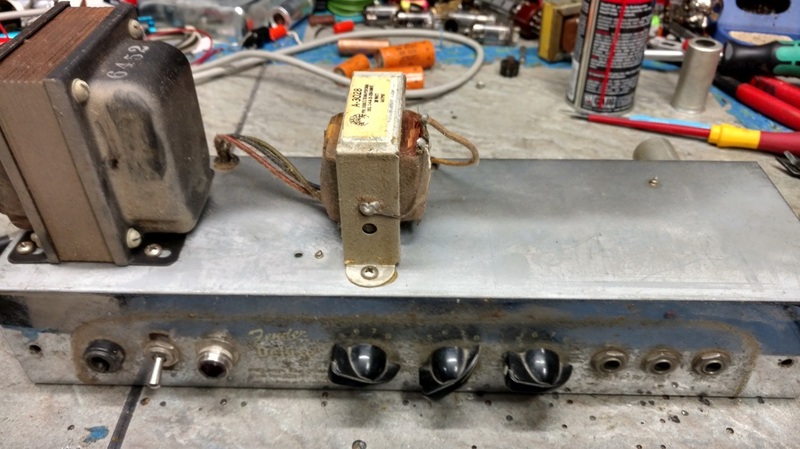 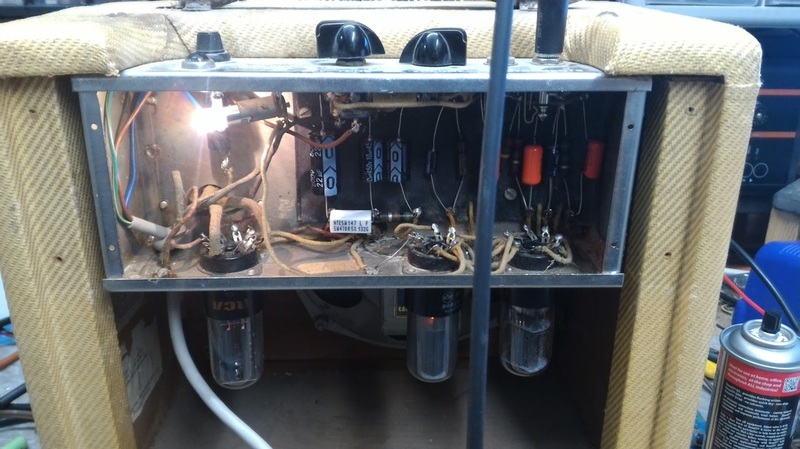 About a year and a half ago I was asked if it would be possible to build a 20 watt amp with the all tube harmonic Tremolo system like Fender used in a couple Brownface amps before they abandoned it because it was so labor intensive and complicated. I accepted the challenge and invested a considerable amount of time to design from scratch and build my own original version. 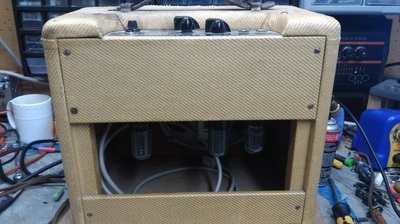 When it was all done it worked right out of the gate! 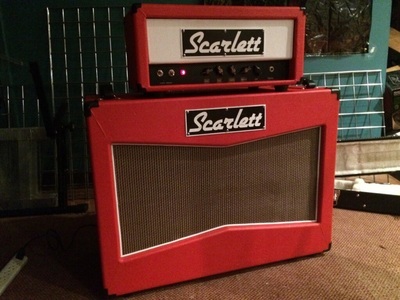 I'm sure that something like this has been done, but I don't know of anyone else who has ever done an amp like this in the nearly 60 years since Leo and Co. did it and I am proud to present the Scarlett Harmonic Tremolo!! 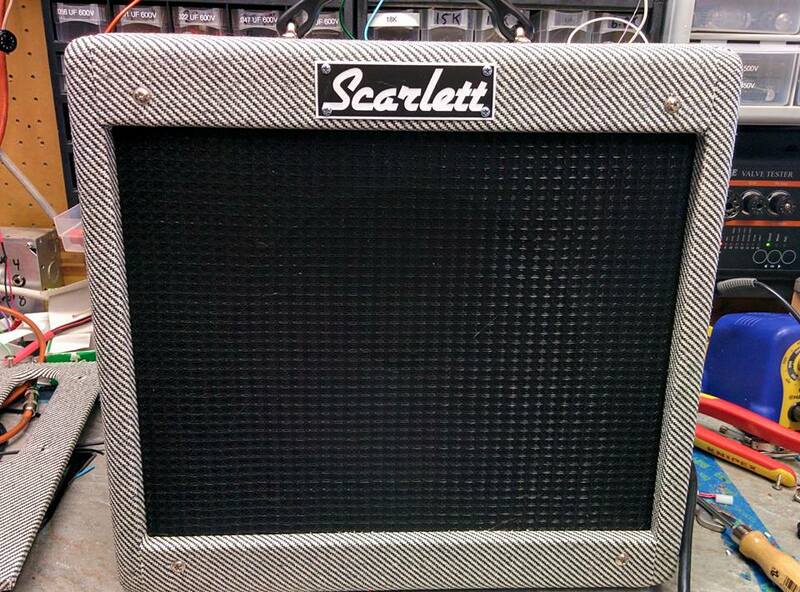 New amps on the way!! I have been working 7 days a week since the beginning of 2017 to keep up with all the custom builds and repairs and i want to thank everyone! I am finally emerging from my backlog and am able to build a few new designs or some really cool/weird one off projects that I have had in mind and parts on the shelf for a long time now. 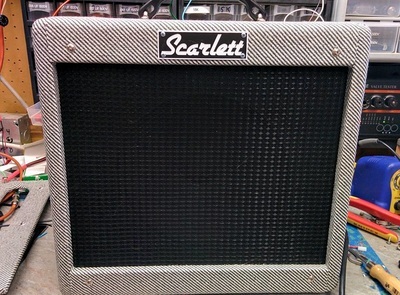 The first thing that is now complete and available for immediate purchase is the Scarlett Jr Dragster! The Scarlett Jr Dragster is a 15 watt EL84 based Class A hand built amp with a very dynamic preamp with a wide sweet spot for varied shades of dirt and can get pretty insane, but will clean right up with a guitar vol knob! 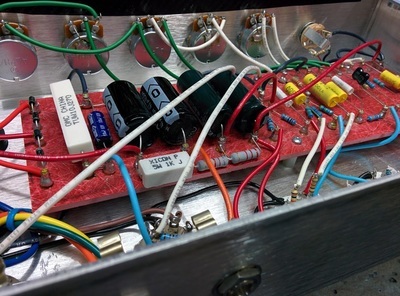 It is also pedal friendly depending on how you have the gain structure set up. Check it out! 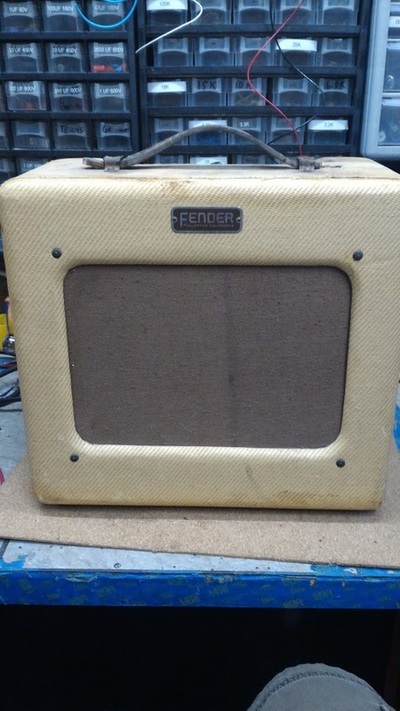 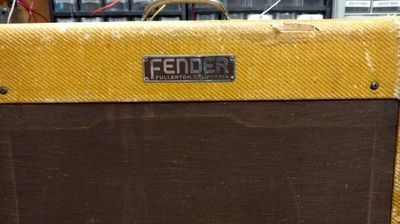 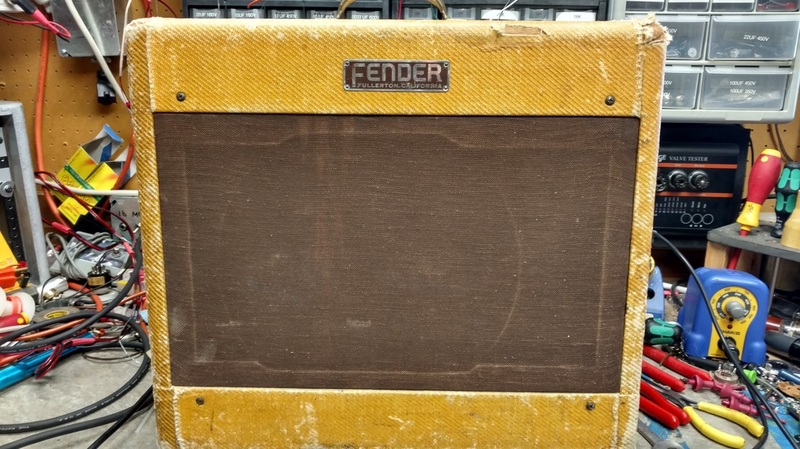 I had a nice old tweed Fender 5d3 Deluxe on the bench yesterday for an overhaul. 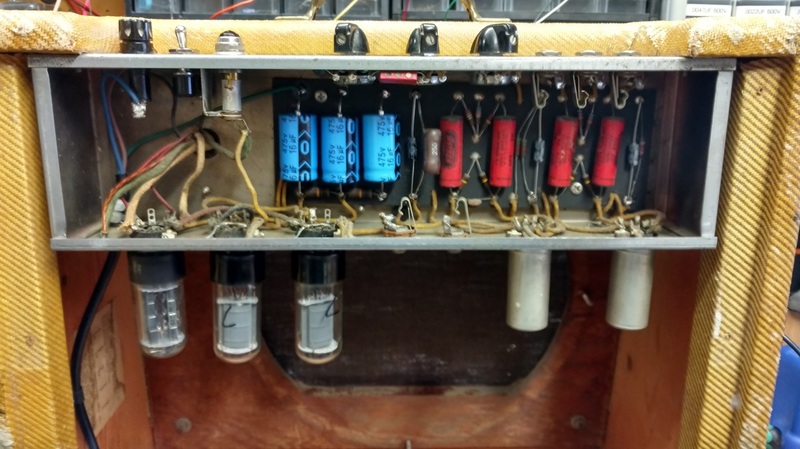 I had to replace all the electrolytic caps, installed a grounded cord, a new pair of EH 6v6, and a general degunking of all the controls etc. 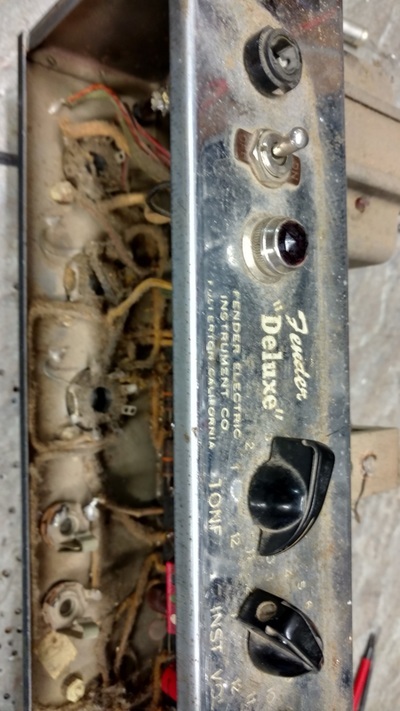 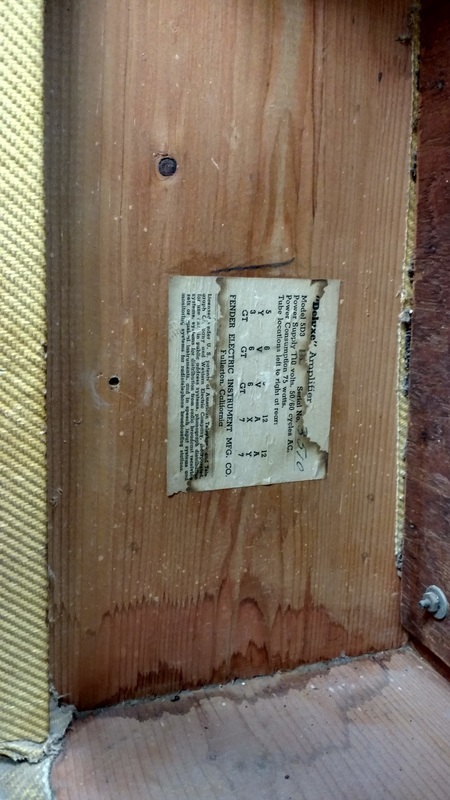 I also noticed that the output transformer was a 60's era replacement and had never been wired correctly. 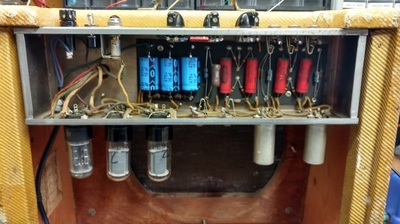 This transformer has various ways to connect it and the way they had done it only reflected a primary impedance of 4k when the proper spec is 8k. I was able to change the secondary to double that and now the amp is operating perfectly and sounds great. 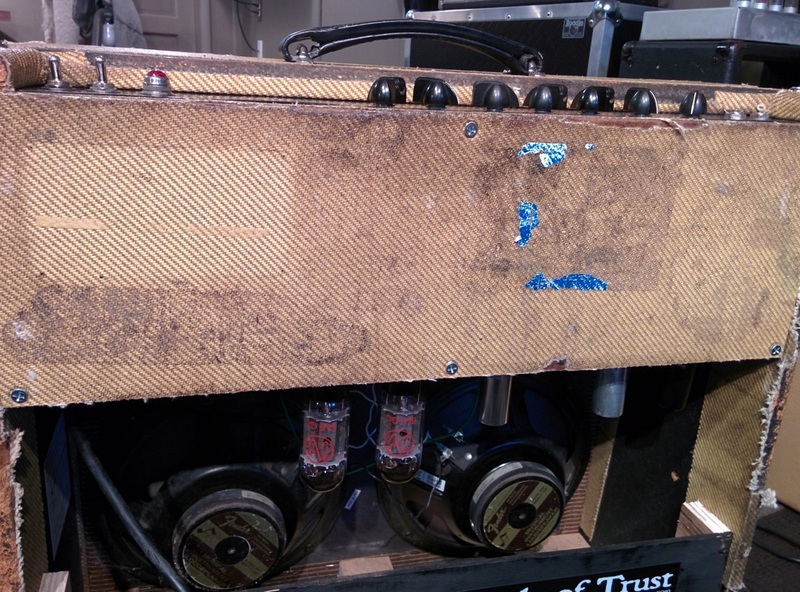 It was only making 6 watts on the bench and sounded super thin before I changed the transformer connections but now it sounds perfect! 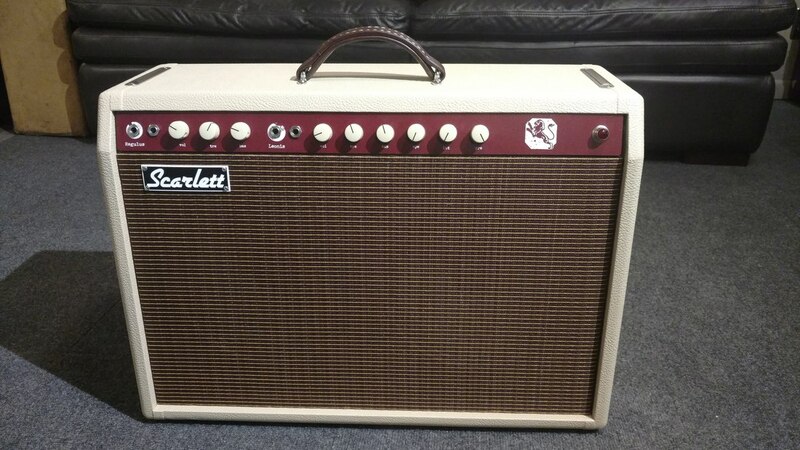 This beauty came in last week! 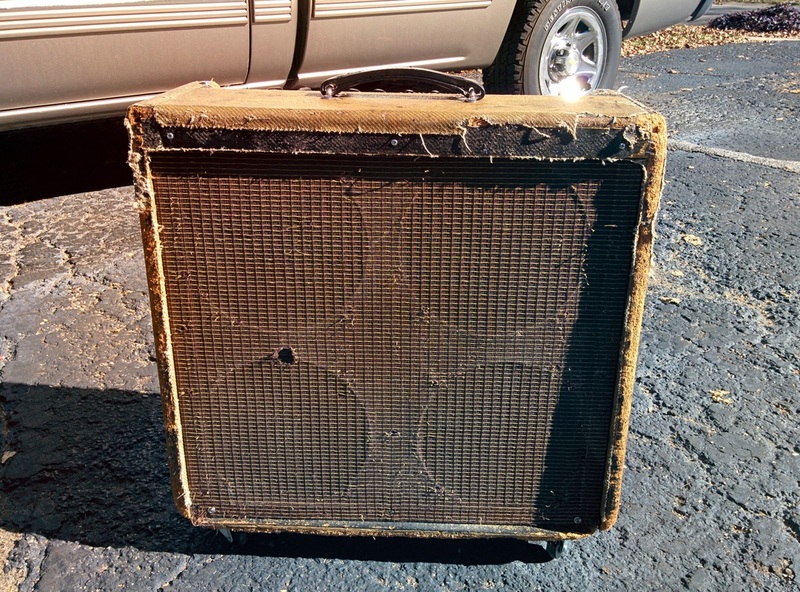 The original owner was an auctioneer in the ozarks and used it to plug his microphone into and do his thing. 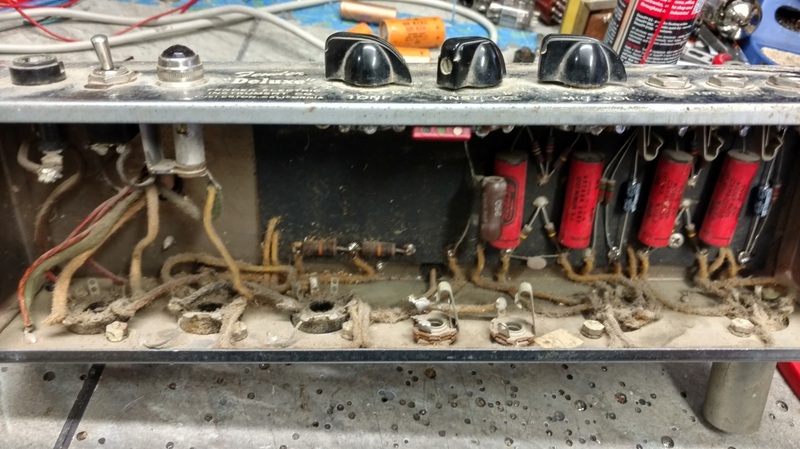 After the fellow retired it sat around for 30+ years and the new owner said it shocked the hell out of him when he tried to plug it in! 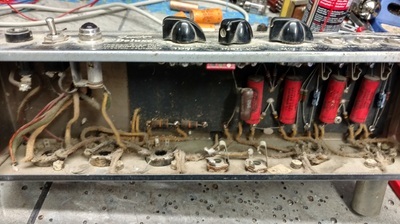 I had to pretty much rebuild the board as the filter caps had exploded and made a huge mess! The new owner sent me the following message after he picked it up. 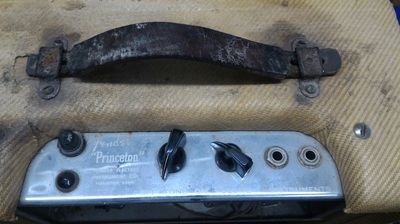 "Thanks again for resurrecting my Princeton. 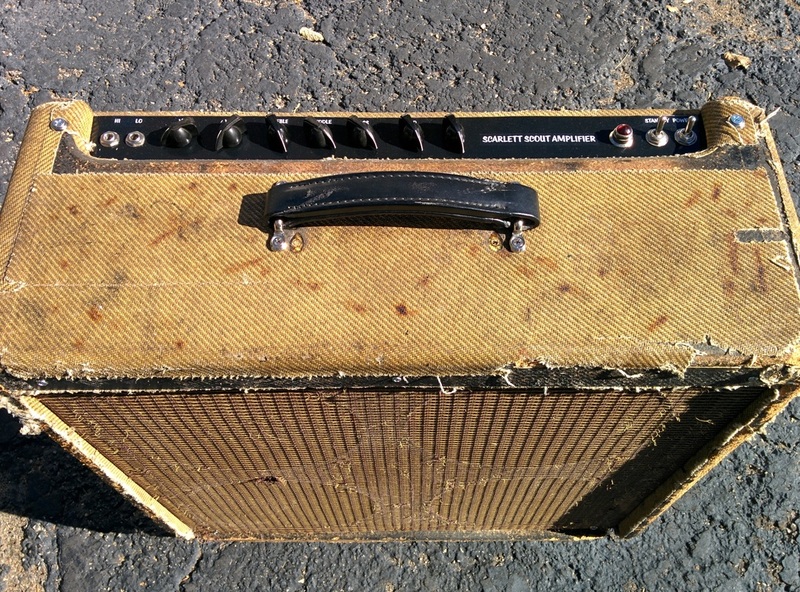 This amp is a blast to play! 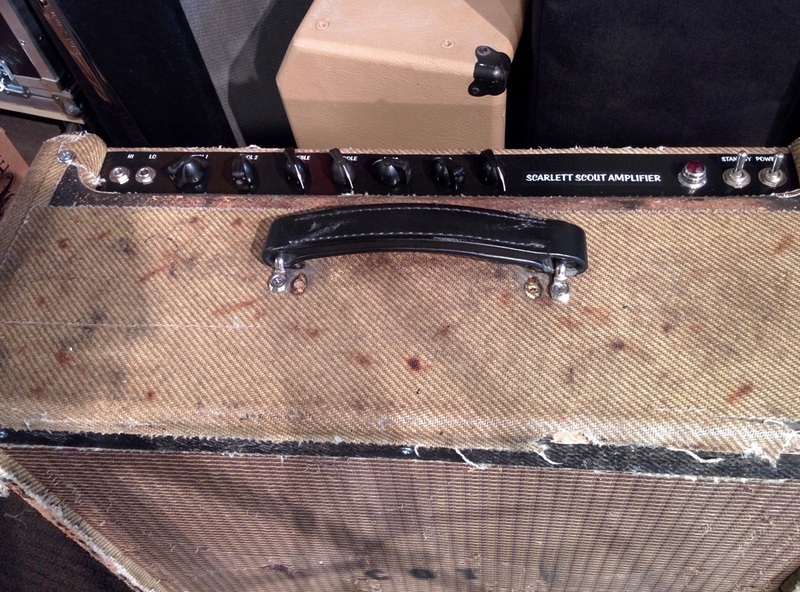 The sensitivity is unreal….channeling Neal Young J It’s definitely rock and roll before there was such a thing. 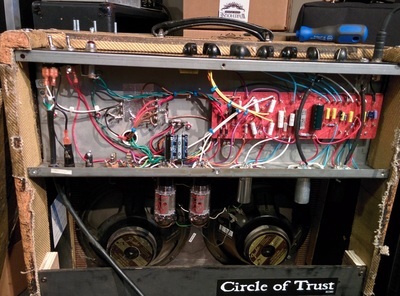 Keep up the good work!" 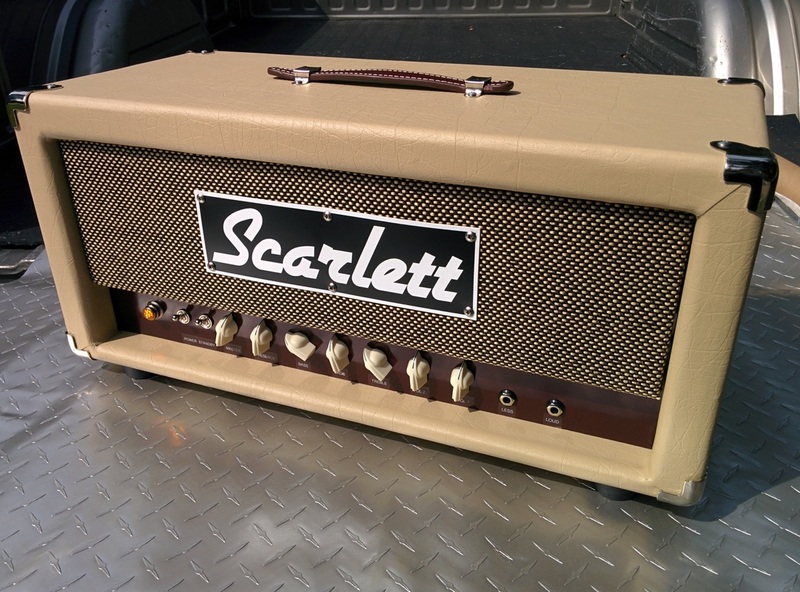 I have been doing these Pro Jr handwired conversions now for several years, and I have done quite a number of them. 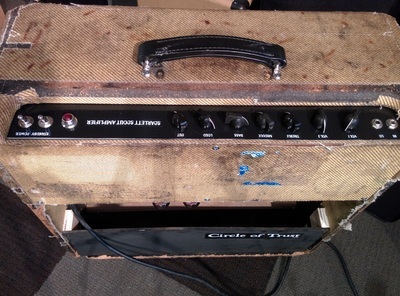 The original Pro Jr is a nice little package but is a one trick pony and not an inspiring one at that. 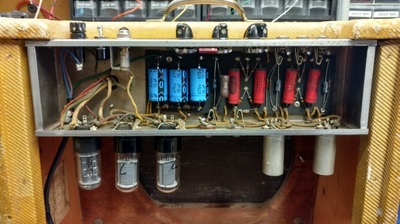 I simply remove entirely the original PCB and the only thing I reuse is the chassis and power transformer. 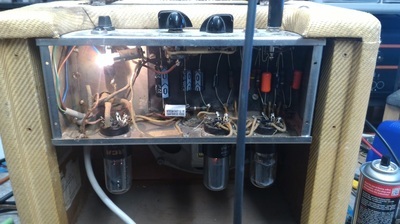 I convert to 6v6 power tubes, build a Turret board, install a USA made output transformer with 4,8,16 ohm outputs, install real 24 mm pots and switchcraft jacks, a real fuseholder, carefully wire up the circuitry and can optionally install a variable wattage control to turn it into the utmost in tone and practicality. I started playing guitar at 7 years old but I really didn't get serious about it until I was 11 when the Rock and Roll bug bit me and ruined my life in the most awesome way possible! 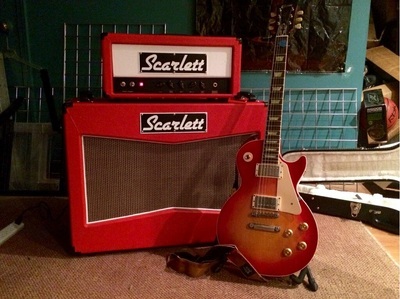 I saved up my lunch money and did odd jobs for a year to save up money to buy an electric guitar. Finally I was able to afford an Applause Strat copy! 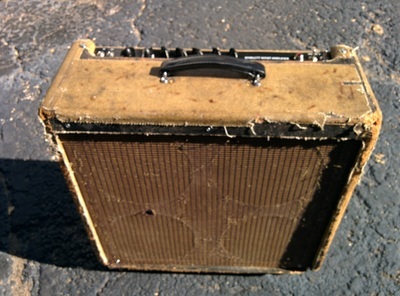 The only problem was I couldn't afford an amp. 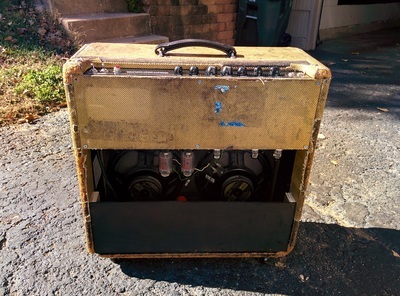 My best friends Dad took pity on me and loaned me his Original Crate amp and at last Rock and Roll noises were mine at last! Fast forward 30 years when I saw this Crate on Craigslist. 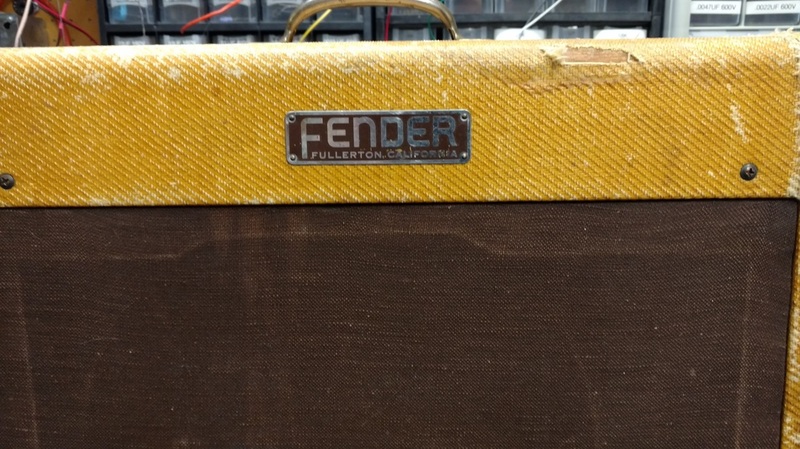 I knew I had to have it and turn it into something special. After all, this was where I started and nostalgia is a hell of a drug! 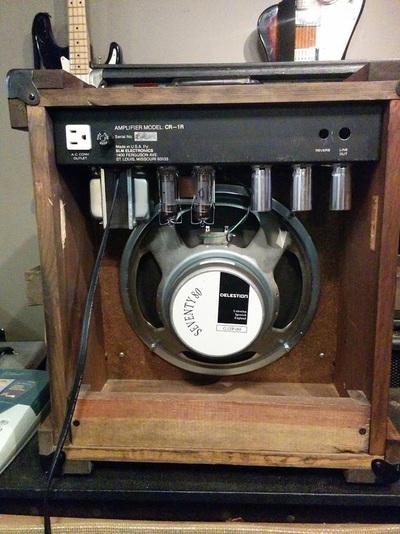 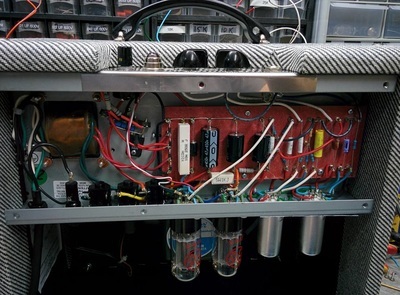 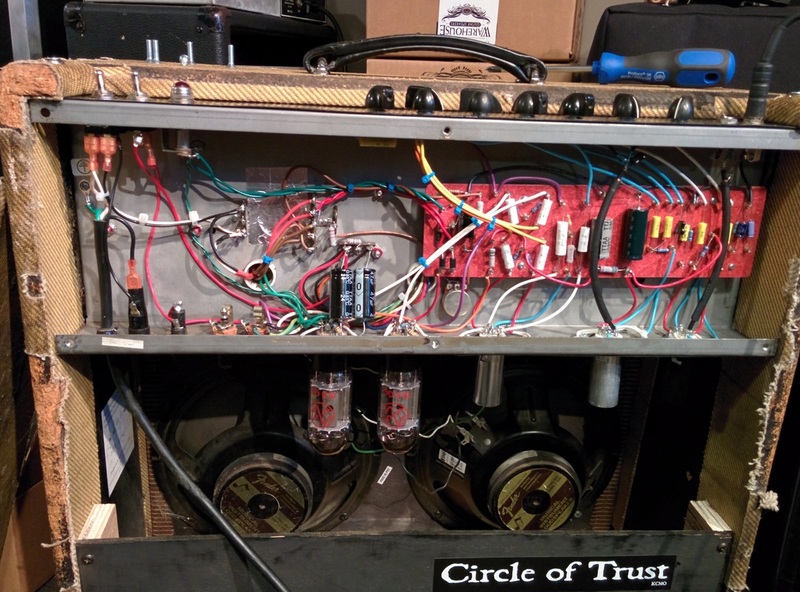 I removed entirely the original circuit boards, speaker and transformer and built a 15 watt Class A EL84 handwired amp in the chassis. 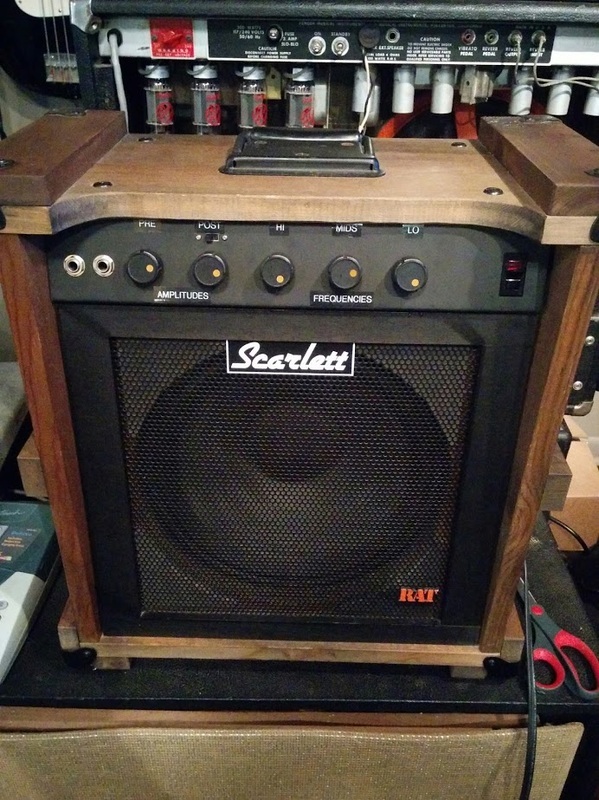 The result is a the Scarlett Rat amp. 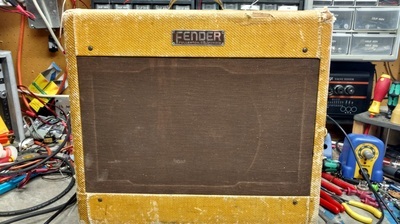 It's very versatile! 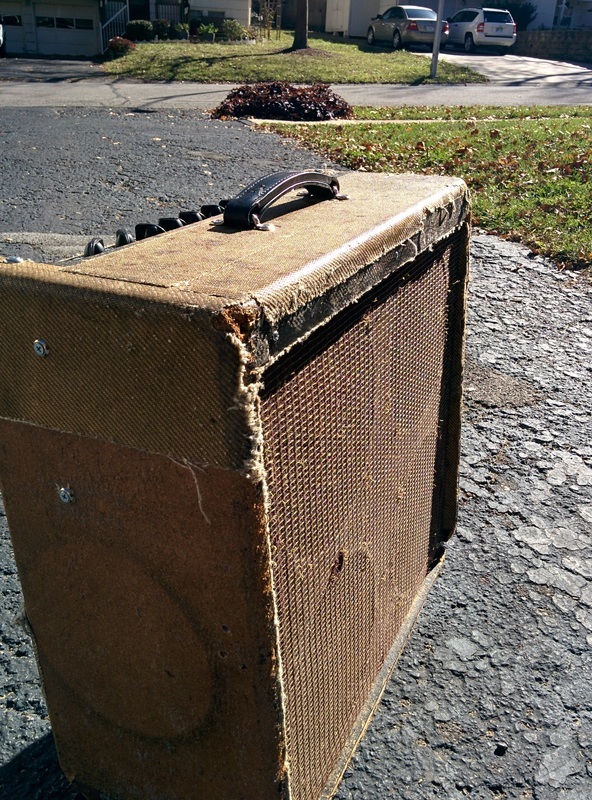 Everything from smooth glassy cleans to brutish guttural crunch and is a unique tribute to my humble beginnings. What a fun project! Scarlett ROCK AMP Now available for custom orders! 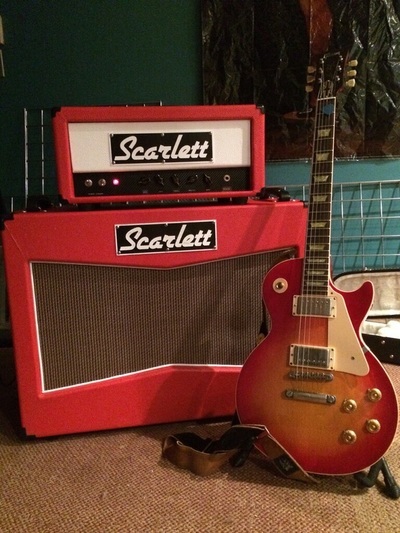 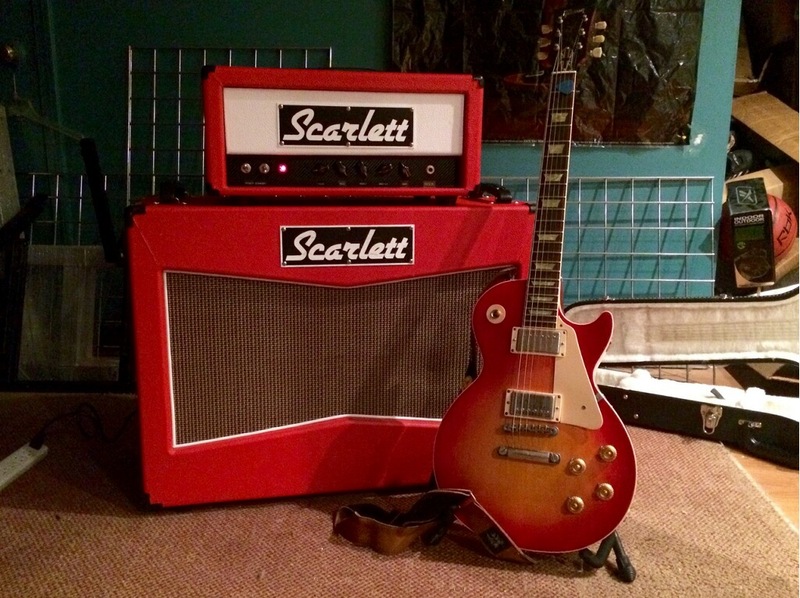 The Scarlett ROCK AMP is a 15 watt 6V6 powered amp with a simplistic yet tonally comprehensive feature set. 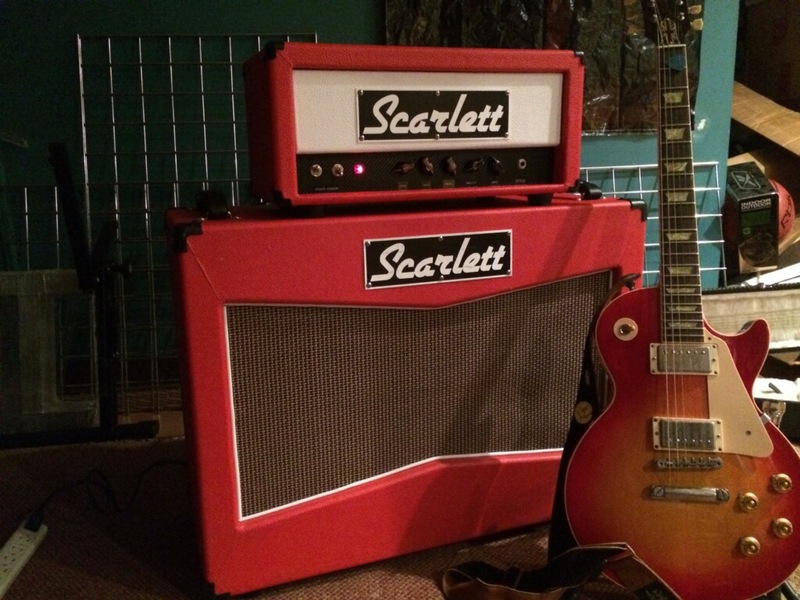 With pre and post gains, and a full tone stack you can dial in anything from cleans to snarly classic crunch perfect for rock and roll shenanigans! 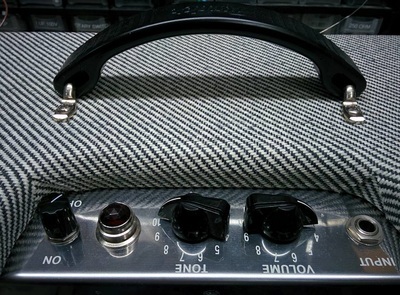 It takes pedals great and has 4,8,16 ohm outputs, so it is flexible enough for any situation. 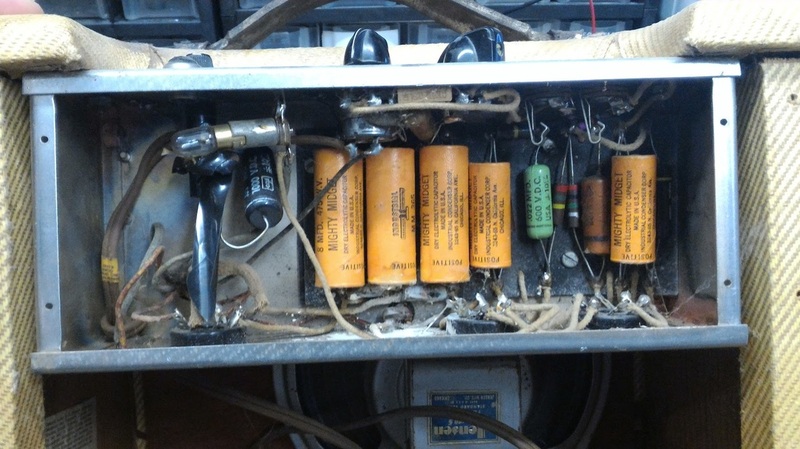 A good customer of mine has a small collection of old Silvertone amps. 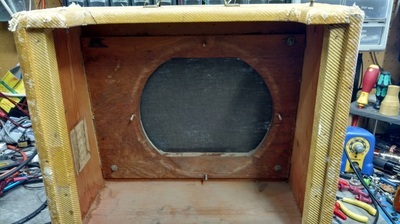 The cabinet for one of his 1482's was basically toast so I built him a nice reproduction cabinet. 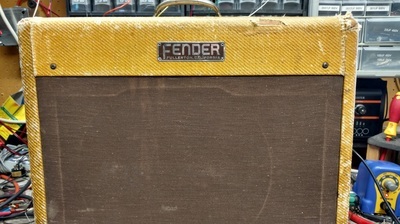 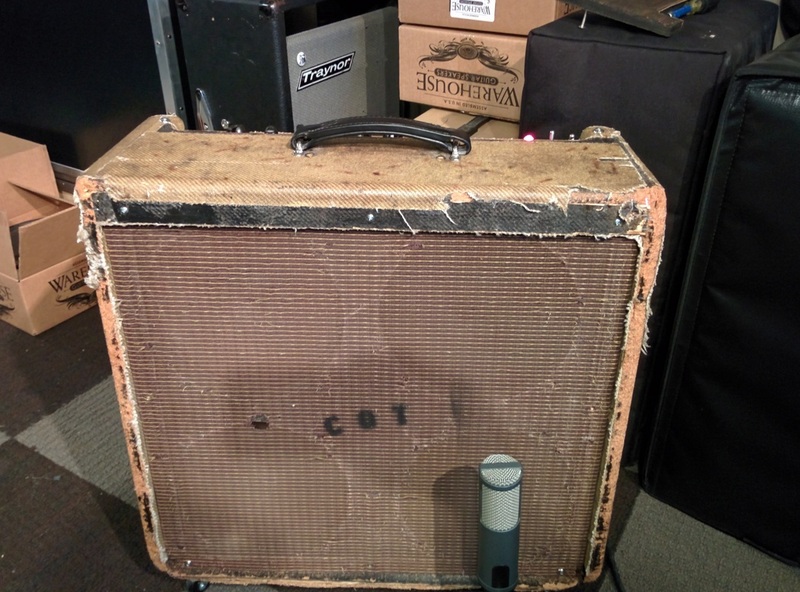 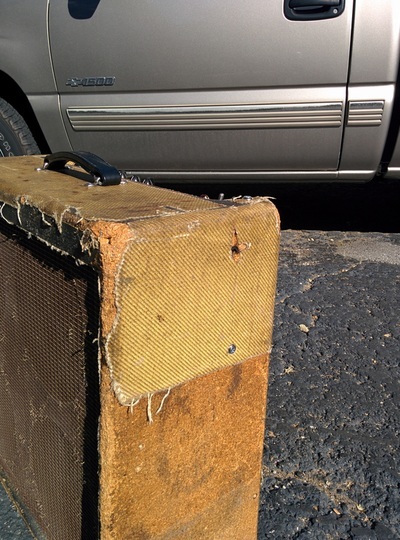 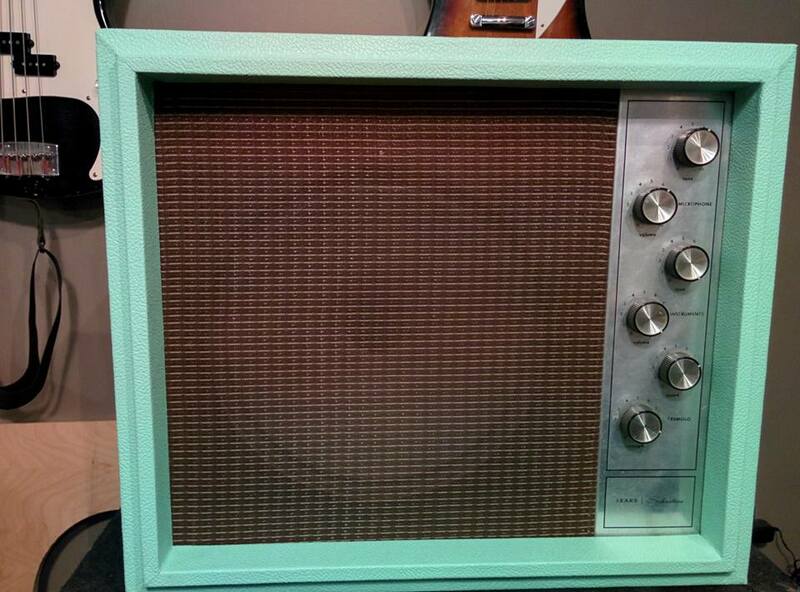 Unfortunately I cannot find any original tolex so we went surfing and did Seafoam green and Oxblood grill cloth. 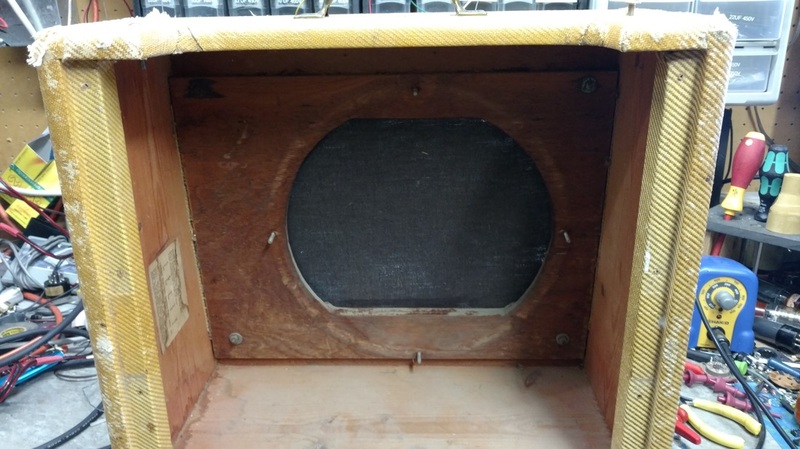 I increased the depth of the cabinet so any speaker will fit in it with the back on and the whole thing is made from nice 1/2" birch ply and will last for decades of use with no issues at all. 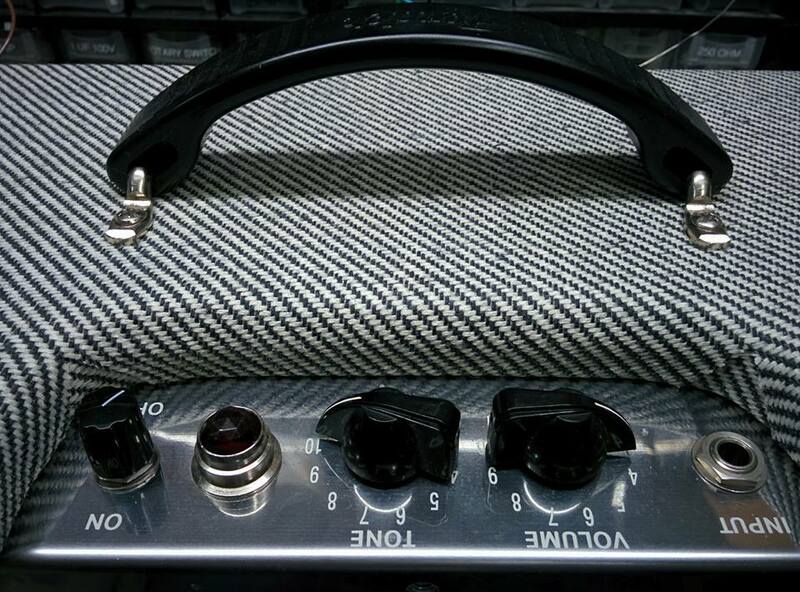 Contact us if you have something custom in mind!! My Derelict Scarlett Scout Chief is reporting for duty. 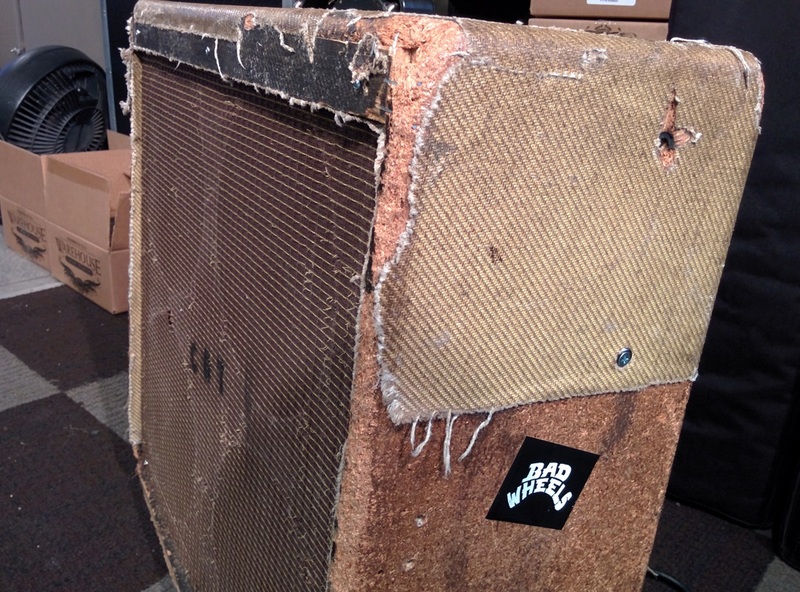 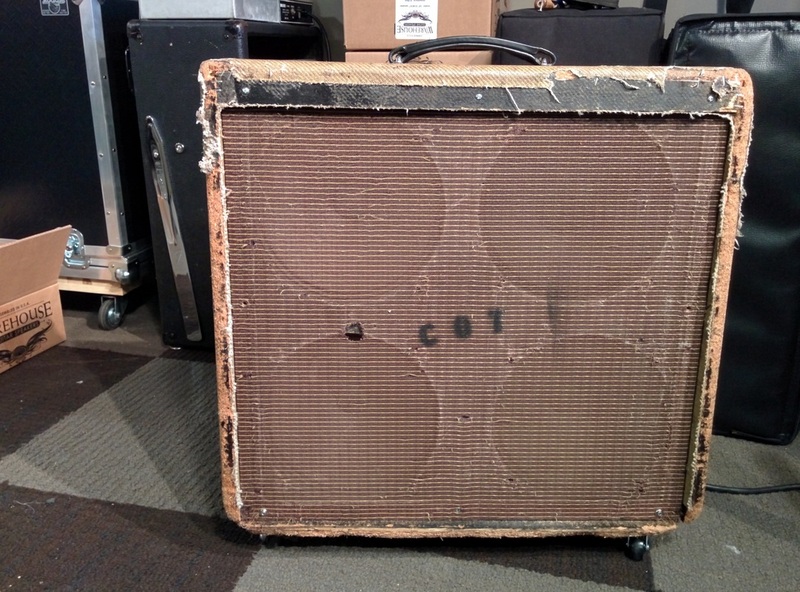 This was a Hot Rod Deville that came into the shop for repair along with a few other Hot Rod series amps. 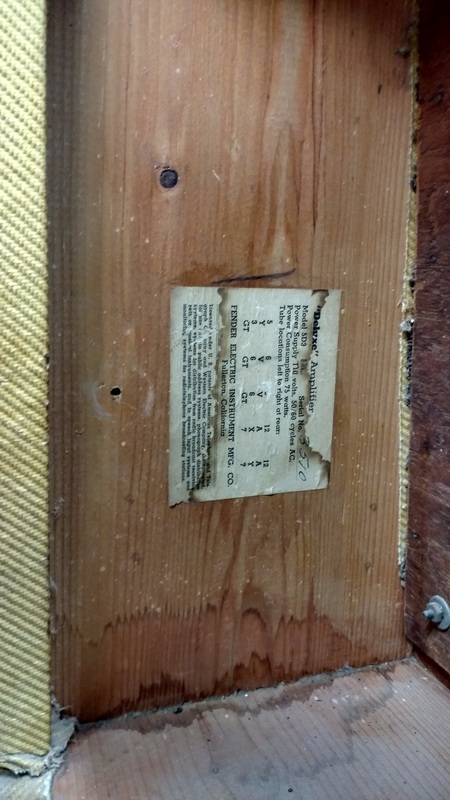 The baffle board was detached, the bottom was falling off, there were no tubes in it, the circuit board had a big hole blown in it, it was missing a speaker, no handle, all the chassis screws were stripped or missing, the back was falling off and the owner wisely decided to not sink $3-400 into it. 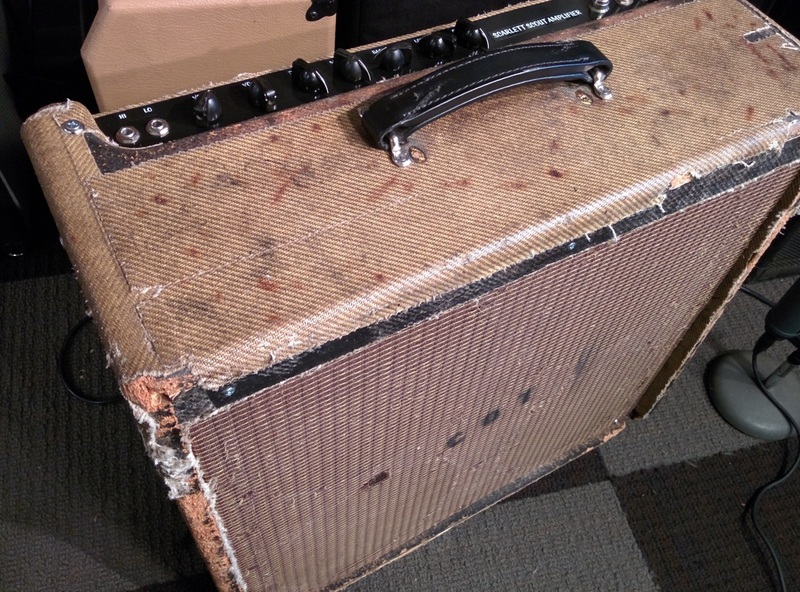 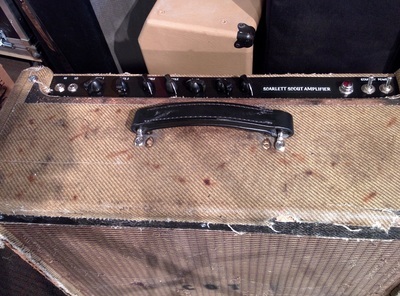 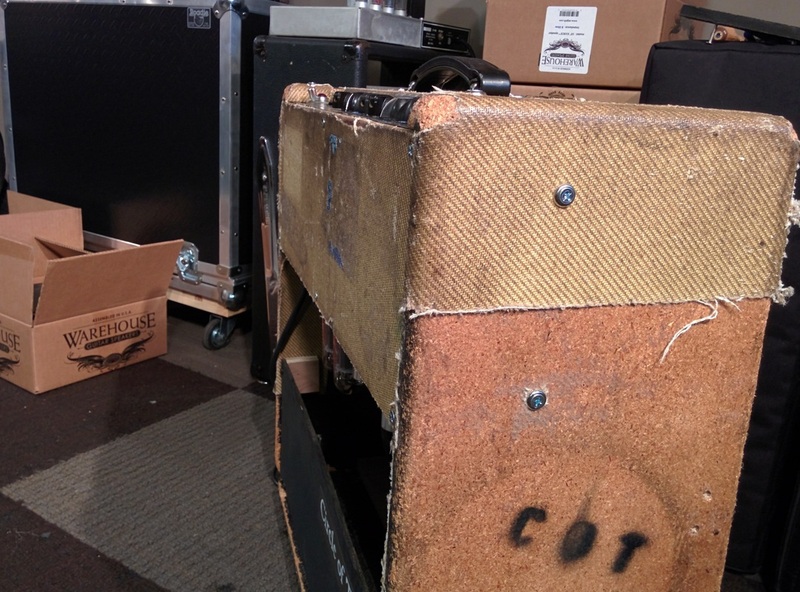 I made him a fair offer on the carcass and applied it towards the repair of the other amps. I have spent many hours fixing the structural issues and building a new Scout circuit inside the old ugly shell and it sounds awesome now! 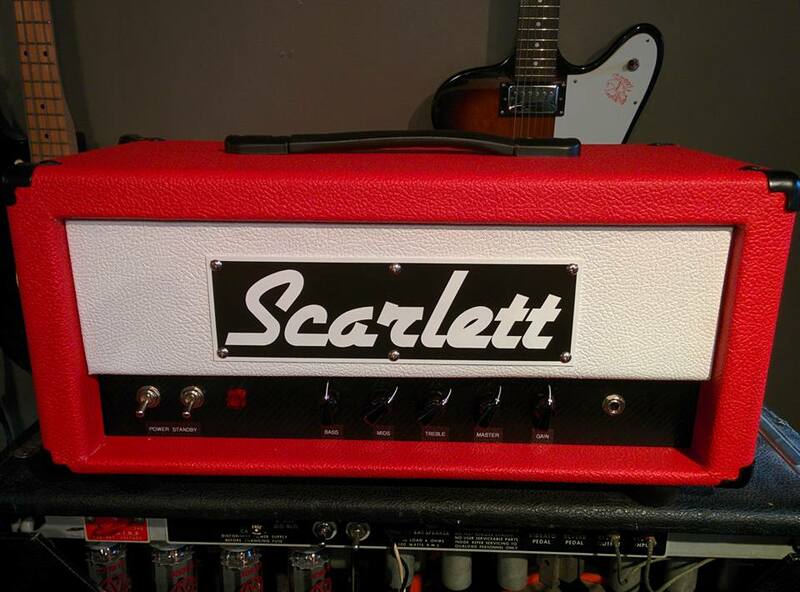 Scarlett Scout Head Now available for order!